Hon'ble William Vangimembe Lukuvi, Minister for Lands, Housing and Human Settlement Development will inaugurate the 21st Buildexpo 2018 on the 1st of November 2018. 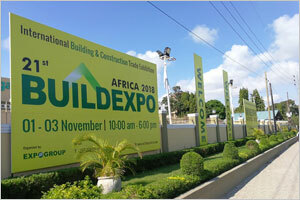 The biggest brand of construction events in Africa, BUILDEXPO is featuring exhibitors from more than 30 countries. Reputed to be largest event in East Africa of its kind, the show dedicated to the building and construction industry will be held from 01st to 03rd November, 2018 at the Diamond Jubilee Hall in Dar es Salaam, Tanzania. Buildexpo has grown in several aspects in 2018. Top industry professionals such as builders, developers, architects, consultants, engineers, manufacturers, importers & distributors have confirmed to visit the event. The event is expected to showcase a wide range of products and equipment this year and there is a deep focus on the mining, lighting, wood, glass and water industry. The event this year is supported by the National Housing Corporation(NHC) and several major partners from around the world including PHD Chamber of Commerce(India), Copper Development Association Africa(South Africa), the Continental Automated Buildings Association (Canada) and the Architects Association of Tanzania. The 2018 Buildexpo Tanzania is sponsored by Hyundai Construction Equipment (South Korea), Aggrekko (UK), LafargeHolcim (Switzerland) along with industry leaders like Knauf (Germany) Sunhearrt Ceramiks (India). 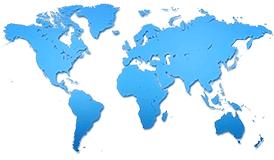 Other major international players include Gold Cera (India), Gelen Makina (Turkey), Iberiosistem (Mexico, Vanachai Group (Thailand), Pipex (Spain), Colorificio San Marco (Italy), Multi M Group (Egypt), Tormax Automation (Switzerland), BICC Cables (Egypt), Fermos Engineering (India), Memaar Building Systems (UAE), Rhino Roofing (Sri Lanka), SACMI (Italy), Entalpia Europe (Poland), Kumkang Kind (Korea), Alyaf Industrial Co. and Al Nafie Steel (Saudi Arabia). Countries dominant this year are Korea, Switzerland, Germany, India, Egypt and Italy with several leading international brands looking to build a solid foundation in the East African market. Companies from various countries are participating in the Tanzanian edition including major players from the East African region. 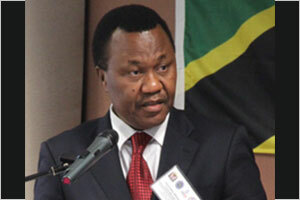 Key players include Lodhia Group, 64Door, Kamaka Ltd/Onduline Avrasya, Tangankiya Plywood, Kanu Equipment. It has been projected as the ideal forum for international companies to showcase their products and services to the huge market. Major company leaders from East Africa, and surrounding regions are invited directly in collaboration with regional trade bodies in Kenya, Tanzania, Ethiopia, Uganda, Somalia, Mozambique and Congo.